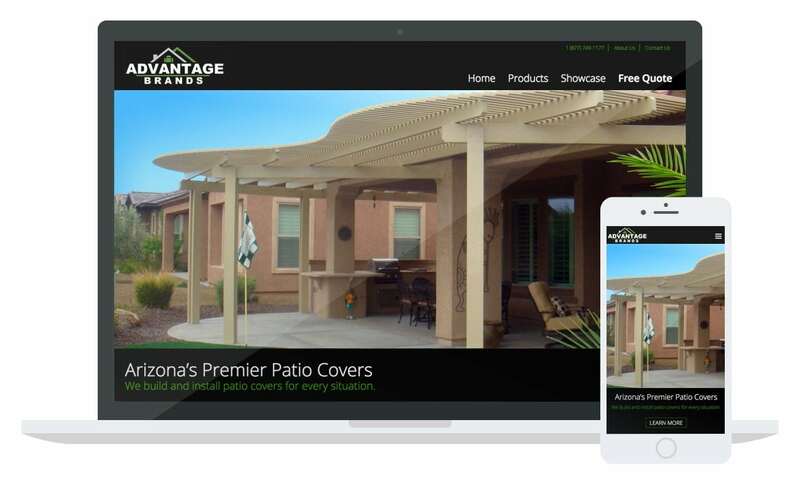 Patio Cover experts Advantage Brands in much need of a website overhaul. Their website was outdated, not mobile friendly, and didn’t convey the value of the services they provide. We jumped in and did a complete redesign and rebuild of their website which is mobile friendly, easy to navigate, and clearly communicates the integrity and strengths of the company.